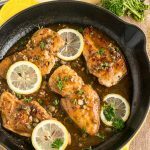 Italian Chicken Piccata – thin chicken breasts are cooked to golden and then drizzled with a light lemon garlic sauce. This family meal will win your heart not only with its delicious flavor but also for how simple it is to put together. Quick and easy weeknight dinner ready in less than 30 minutes. Chicken piccata is a classic Italian dish, and it’s pronounced peek-kah-tah. Piccata in culinary terms means thin slices of meat that are sauteed in and served with a lemon butter sauce. This dish has a lemony sauce made with lemon, white wine (or stock), butter and capers, but it’s also creamy and absolutely delicious. 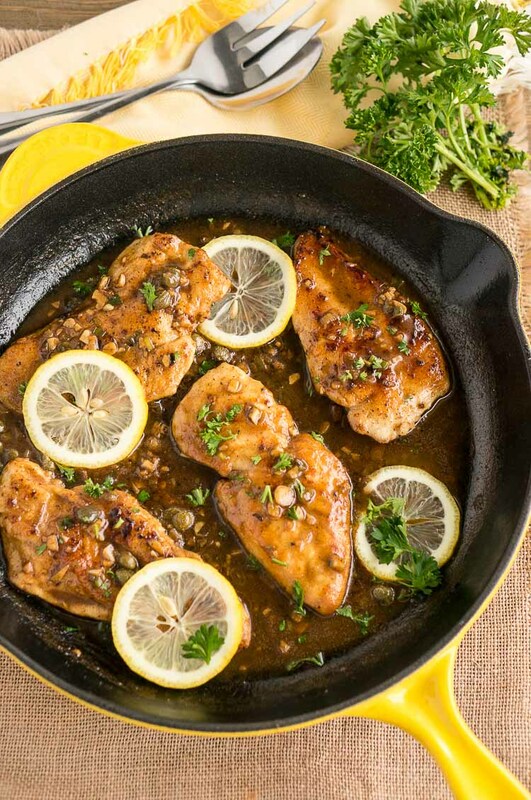 This easy chicken piccata recipe is perfect for a quick weeknight dinner. The lemon-garlic piccata sauce is so so good! Thin chicken breasts are dredged in flour and then browned to a golden color. After you move to a plate, add the shallots, garlic, butter, lemon juice, stock or wine and reduce it for about a couple of minutes. At the end add the capers. 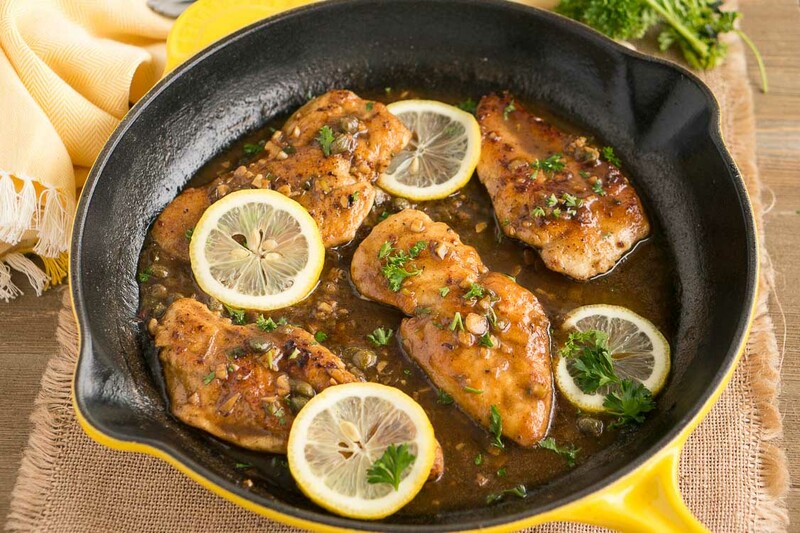 Serve the chicken breasts with the lemony garlic piccata sauce. Your family will fall in love with this delicious dinner! Easy for a weeknight but fancy enough for company. You can also make gluten-free chicken piccata by using gluten-free flour or fine almond meal. This garlic lemon butter sauce is amazing – thick and lush! It’s definitely the star of the dish! It has just the right amount of lemon juice – not too lemony and tart. The minced garlic, shallots, lemon, butter and the stock blend with the drippings of the chicken and flour left in the skillet. Continue to cook it over medium to medium-high heat to reduce it whisking occasionally. When the sauce has thickened add the capers at the end. 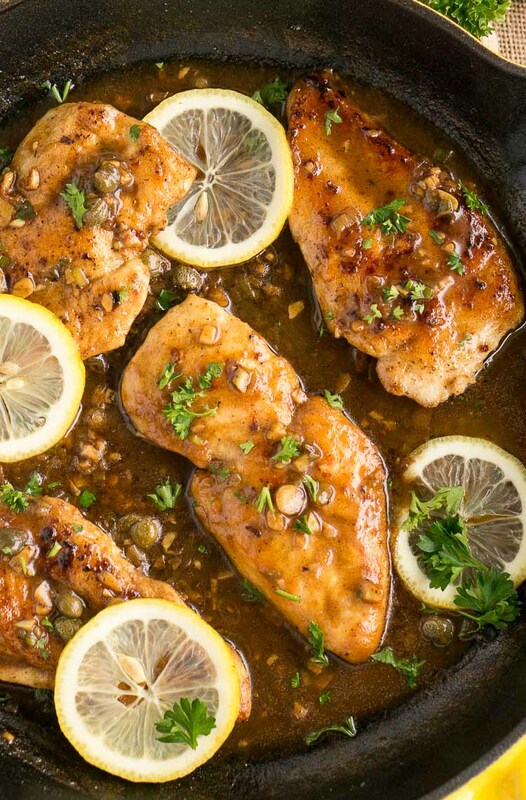 Drizzle the sauce over the chicken piccata, and serve it with lemon slices and chopped fresh parsley. Italian Chicken Piccata - thin chicken breasts are cooked to golden and then drizzled with a light lemon garlic sauce. This family meal will win your heart not only with its bold layers of flavor but also for how simple it is to pull together. Quick and easy weeknight dinner ready in less than 30 minutes. Place each chicken breast between a plastic wrap and lightly pound it to 1/4-inch thickness. Season both sides of chicken breasts with salt and black pepper. Place flour in a shallow dish, and dip chicken breasts into flour to coat, shake off excess. Heat 2 Tbsp butter and 2 Tbsp olive oil in a large skillet over medium-high heat. Add chicken (in batches if necessary) to the skillet and cook until golden and cooked through, about 3 minutes per side. Transfer chicken to a platter; cover with foil to keep warm. Add remaining 2 Tbsp olive oil, chicken stock (or white wine), lemon juice, shallots and minced garlic to the skillet. Boil until the sauce thickens slightly, about 2 minutes. Stir in capers and remaining 2 Tbsp butter. Plate the chicken and pour the lemon piccata sauce over the chicken. Sprinkle with parsley. Piccata has always been a favorite of mine, and your photos have me thinking about making some for dinner. This looks absolutely mouthwatering! My family would love this for dinner! Chicken piccata is one of the most flavorful dishes ever! It’s my husbands fave, so it was my duty to perfect it here at home. Ha. I make a pescetarian/fish version for myself, but it works! Aaaaand now I’m craving this. This chicken piccata looks so delicious and inviting!! My family is a big chicken eaters 😉 and I am always serach for different and quick chicken recipe! Can’t wait to try this ! I love homemade chicken picot. This looks delicious and so easy to prepare. Great recipe! This dish is a perfect nightmeal! Honestly, my bf has insisted me doing this a thousand times 😅 Yummy! 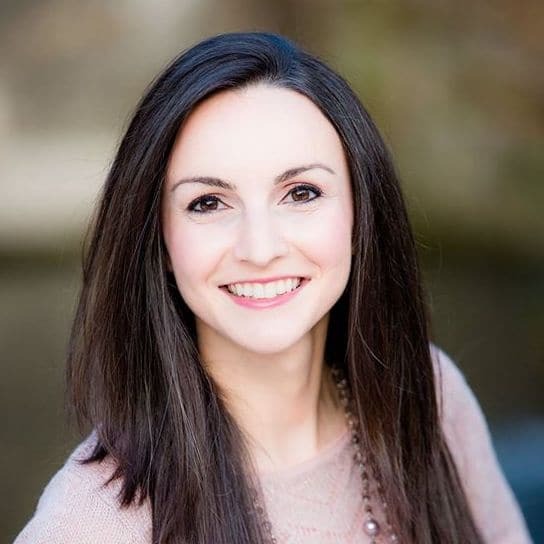 Hi Neli! This recipe looks delicious! I was wondering—which gluten-free flour did you use for this recipe? Thanks! I used Bob’s Red Mill Gluten-Free flour but you could use anyone you have in your pantry.